Whether they are caused by acne or an accident, living with scars on your skin can be emotionally devastating. If the scars are severe enough, you might be too embarrassed to go out in public. If you have your scars removed surgically, you might experience a lot of pain and risk complications. Luckily, there is a simpler solution. Laser scar removal offers a noninvasive way to remove scars with less pain and minimal downtime. During this procedure, a fractional laser light targets the scarred area. It vaporized the top layers of skin, which can dramatically minimize the appearance of the scar. This procedure only takes about 20 minutes and a cooling gel is applied to your skin afterward. Your doctor also may give you a pain reliever. Is There Any Aftercare Rules to Follow? Once the procedure is over, it is important to follow your doctor’s instructions. If you follow his directions properly, you will recover quicker. When you get home, wash the area with a mild soap and apply an antibiotic ointment on it. Then, put a bandage over the area. Your doctor might also give you a medicated cream to help the scars fade faster. The cost of laser scar removal can vary greatly depending on the size of the scar and how many treatments are needed. Typically, the cost of laser scar removal is around $1,500. If the scar removal is considered reconstructive, your insurance cover may cover part of the cost. If you can’t pay it all at once, ask your doctor about payment plans. What Are the Benefits of Laser Scar Removal? One of the main benefits of laser scar removal is that there is minimal discomfort. Unlike surgical scar removal, laser scar removal will not cause you a lot of pain. You might feel a little stinging as the laser beam targets the scar, but the pain is minimal. The procedure does not take that long and you can go home shortly after it is done. As you can see, laser scar removal is completely worth it. It can get a little expensive, but it can make you feel so much more confident about your appearance. You will no longer have to feel embarrassed about showing your scars in public. 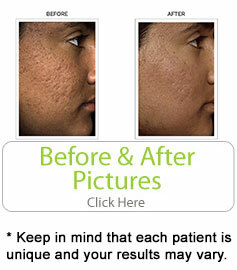 If you need scars removed, you should contact a laser scar removal specialist today.